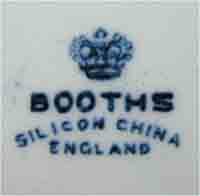 This an unusual find. 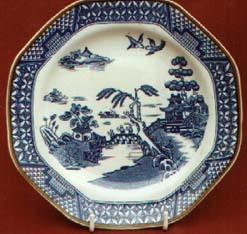 The central design is similar to Real Old Willow or Georgian Willow (note the white tree trunk). 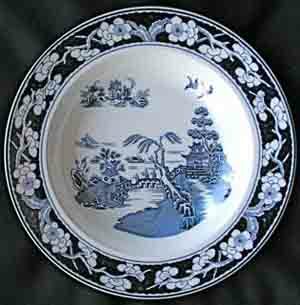 It is shown in the photo right next to a Georgian Willow plate for comparison. 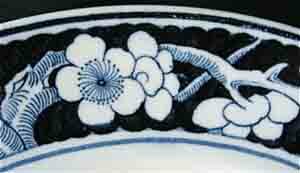 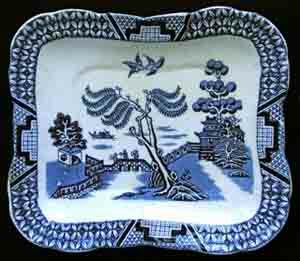 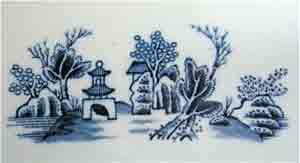 Like Booths' plain Willow pattern (see below), it has another distinguishing detail - an extra miniature landscape above and to the left of the main scene. 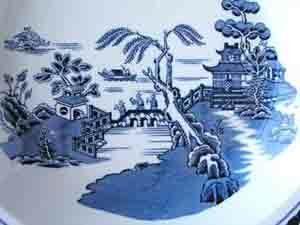 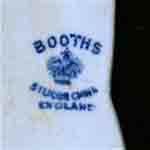 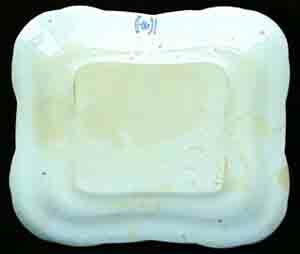 Booths' plain Willow pattern is another pattern that is harder to find than Real Old Willow, and must have been made in much smaller quantities.